Ground Source Heat Pumps are considered the most sustainable and efficient source of heating and hot water for your home. Ground Source Heat Pumps use natural energy which is stored in the earth. The heat produced can then be used to heat radiators, underfloor or warm air heating systems and provide hot water for your home. Ground Source Heat Pumps operate by circulating a mixture of water and anti-freeze around a loop of pipe, also known as a ground loop. Ground loops are buried in garden space and are used to absorb heat from the ground . The ground stays at a fairly constant temperature under the surface, so the heat pump can be used throughout the year. 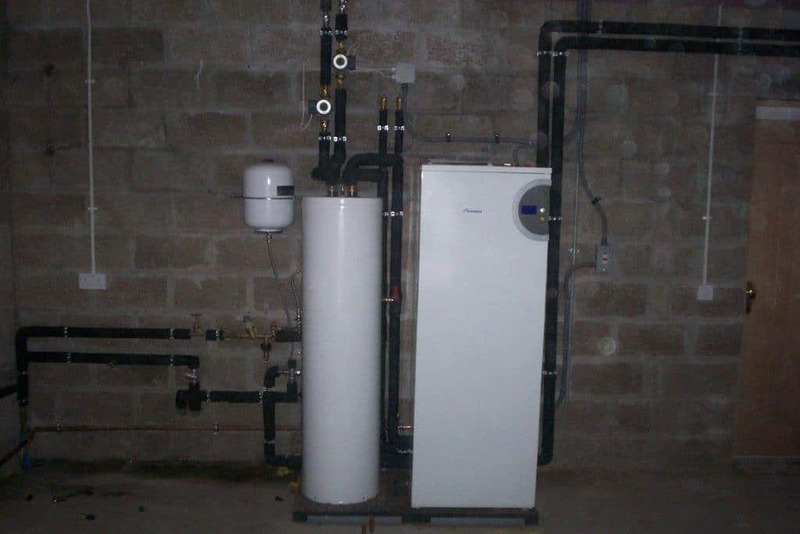 Ground Source Heat Pumps can also be installed by a borehole method if insufficient garden space is available. Ground Source Heat Pumps are suitable for both new and refurbished properties. Ground Source Heat Pumps are available in two different types; You could choose a system heat pump which requires a separate cylinder or alternatively, you can choose a combination heat pump which has an integrated cylinder. With display models on show in our renewable showroom, please, do not hesitate to visit us for more information on how Ground Source Heat Pumps operate. Our renewable showroom is based in Arbroath, Angus and is open from Monday-Friday between 8am-5pm. 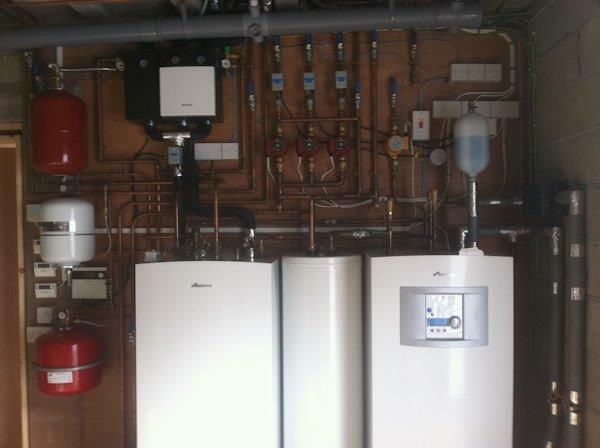 Our heat pump installation team work throughout Aberdeenshire, Angus, Dundee, Fife and Perthshire.